Doctors say the time to get a flu shot is now. TAMPA, Fla. — Christen Christian soaked in the sun and enjoyed an afternoon with her two-year-old daughter. But in the back of her mind is flu season. The mom is expecting another baby in December and doesn't want a repeat of last year. "I didn't go to museums as often and I didn't let Annie play in public areas like I would've normally," said Christian. But, Christian, like many people, wonders when to get a flu shot. Dr. Marcy Solomon Baker, a Medical Director at BayCare Medical Group, said there is no question. "Now! 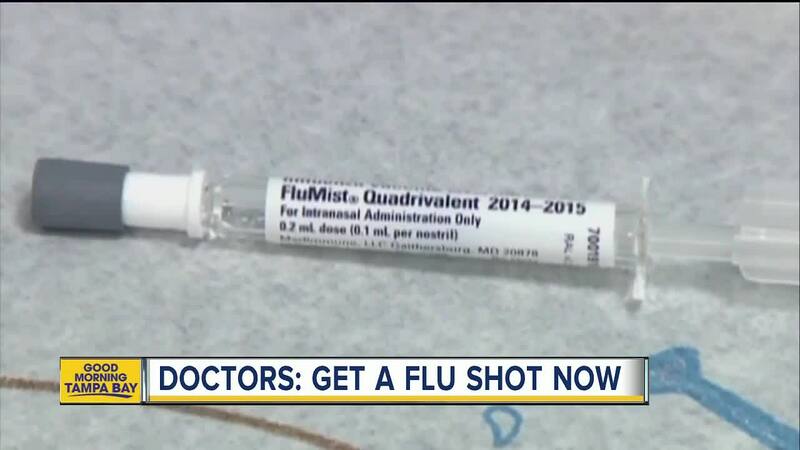 It's already mid-September and it's time to get your flu shot," said Dr. Marcy Solomon Baker. She's already seen a larger flow of patients in her office. 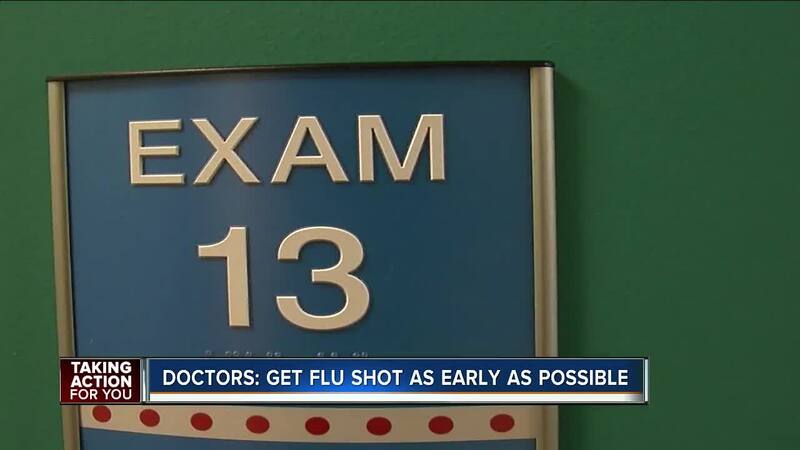 "People who have not gotten flu shots in any years in the past have come in and said 'yes I'm going to get a flu shot,'" said Dr. Marcy Solomon Baker. The doctor also wants to clear up some confusion. "So, there are some questions on early vaccination and the CDC describes early vaccination as July and August. If you did get your flu shot in August. Don't worry there is no definitive study saying that the immunity wanes," said Dr. Marcy Solomon Baker. She stresses, you only need one shot. There are some exceptions with babies. But no exceptions on who should get vaccinated! "Everybody six months and older should get their flu shot 110 percent," said Dr. Marcy Solomon Baker. Doctors said last year's vaccine reduced the risk by about 40 percent. But it was an unusually tough strain to fight. The Bay area even saw shortages in medication. "Even though the flu shot is not going to 100% protect you. It is the best chance that you've got," said Dr. Marcy Solomon Baker. "Why not to give yourself every chance that you can," Christian said.